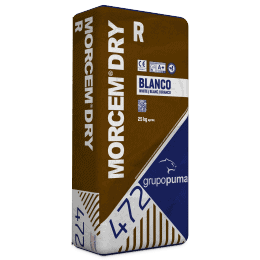 Bicomponent product based on hydraulic binders and synthetic resins. Resistant to freezing and thawing. Does not alter the drinkability of water. Resistant to sulfates in weak concentrations and non-acidic environments. Waterproofing water tanks, ponds, swimming pools, fountains, basements, underground car parks, elevator shafts, tunnels, etc. Waterproofing the inside of drinking water tanks. Waterproofing and protecting concrete from carbonatation, freeze thaw cycles, attack by chlorides in public works, irrigation channels, water-treatment plants, desalination plants, bridges…etc. Waterproofing of balconies and terraces (maximum 20 – 25 m2). Waterproofing external walls on foundation structures. Repair and protection of surfaces exposed to freezing and thawing conditions: overhangs, balconies, flat roofs, terraces, cornices, etc.  Waterproofing of surfaces susceptible to movement, with positive and negative hydrostatic pressures. The substrate must be sound, clean, and free of grease, oil, dust and badly-bonded parts. The absorbent substrates should be previously wetted until they are saturated, preventing waterlogging. Start by manually or mechanically mixing the Component A powder with 3/4 of the Component B liquid. Then add the remaining liquid and mix again until achieving a homogenous mass. Wet the surface without leaving an excess of water. 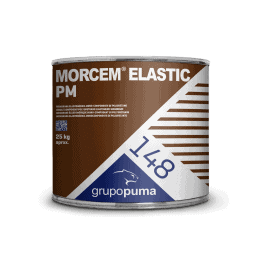 MORCEM DRY F is applied in two coats, each 1 mm thick, with a brush, long-haired roller or mortar projection pump. Apply the first layer in one direction and leave it to set for an hour (at 20ºC). After the required time, apply a second layer in the opposite direction. 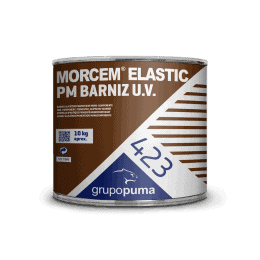 To treat cracks with possible movements, it is recommended to reinforce the coating with a fibre-glass mesh on the second layer. Immediately afterwards, place an additional layer of MORCEM DRY F on the same mesh. 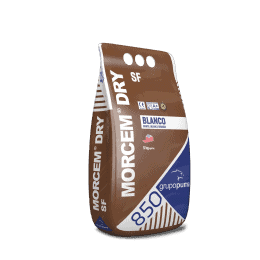 Protect from the wind, frost and sun during hardening. To prevent excessive drying out, it is recommended to cover the surface with wet hessians or plastic during curing. Do not add cement, sand or any other substance which will alter the product properties. Instruments and tools should be cleaned with water immediately after use to prevent material hardening, which has to be eliminated by mechanical means. 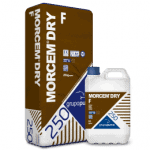 Wash the waterproofed surface with clean water 48 hours after application. Repeat the operation at least twice before filling the tank. Note: it is recommended to reinforce with a mesh for the crack covering/bridging. < 0,1 kg/m2 x h0.